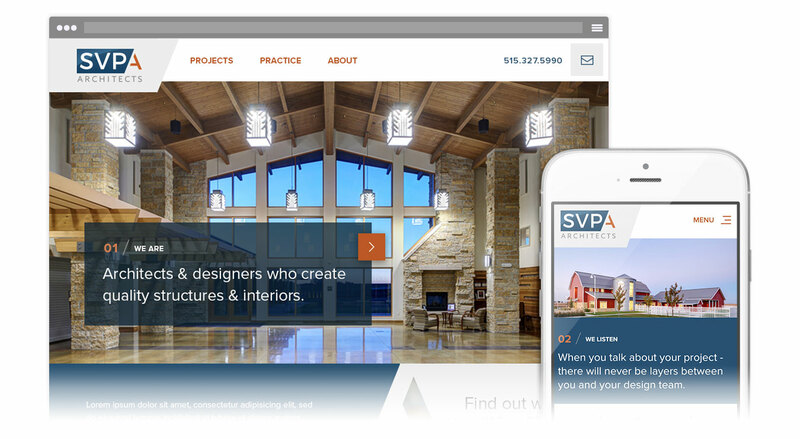 SVPA believes in order to create great design it's essential to have a deep bench of talent. For more than 60 years, they've zeroed in on building a strong team and brought a fresh perspective to architecture and interiors for clients both large and small. 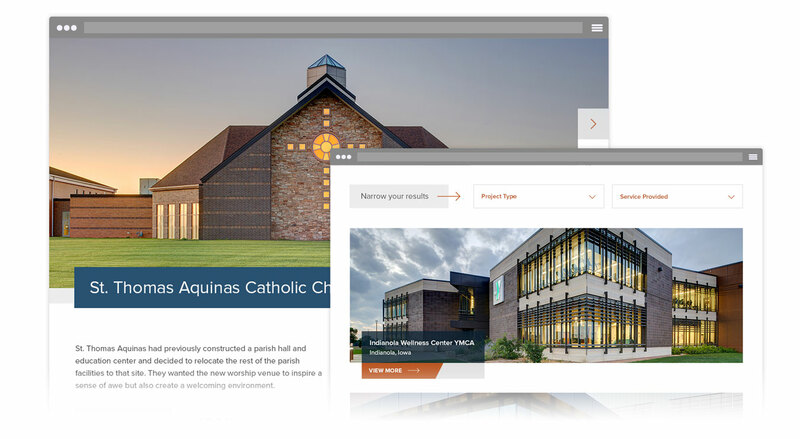 This project was comprehensive; a complete rebrand in both look and messaging. We started with extensive discovery of 13 people deeply vested in the brand. Working with their team, we formulated a competitive landscape framework and developed a strategy for differentiation. We created messaging that was both unique and authentic. 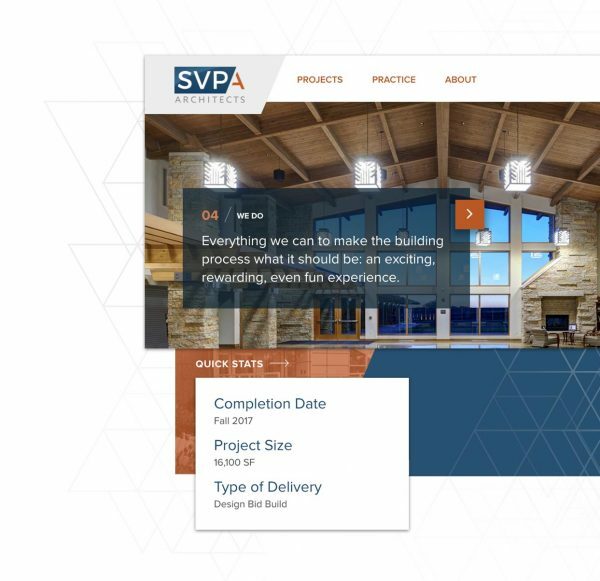 At the end of the day, our goal was to have each person in the firm, no matter their role, be comfortable sharing SVPA’s story. 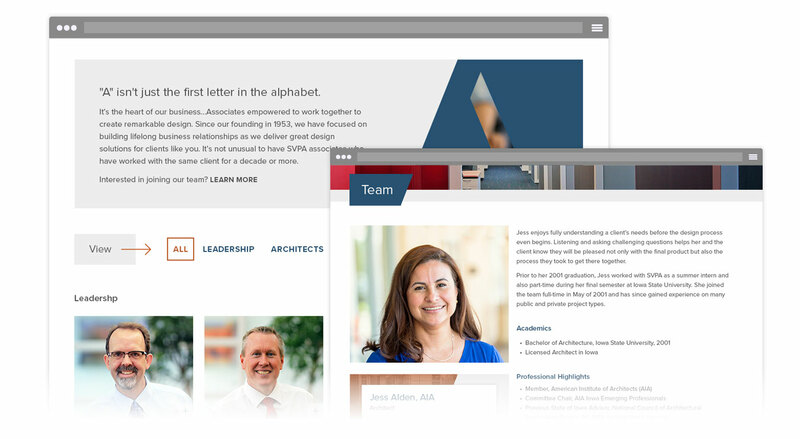 After nailing down their strategy, we got to work on a sleek new logo, identity system and website. 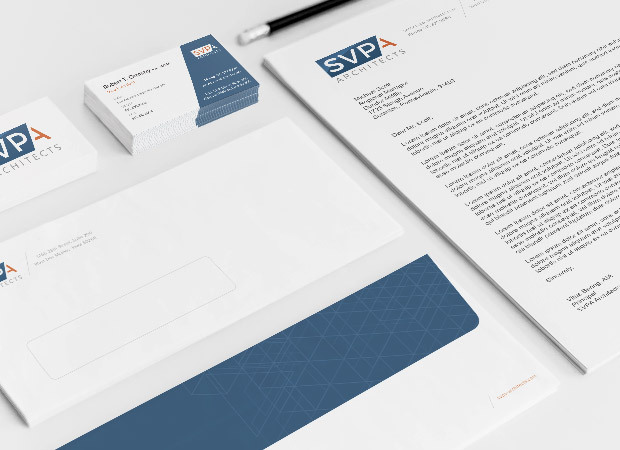 We dressed them from head-to-toe with a new logo, identity system (letterhead, business cards, envelopes, email signature) notepad and website.